Match ends, RB Leipzig 3, SV Werder Bremen 2. Second Half ends, RB Leipzig 3, SV Werder Bremen 2. Offside, RB Leipzig. Matheus Cunha tries a through ball, but Yussuf Poulsen is caught offside. Bruma (RB Leipzig) is shown the yellow card for excessive celebration. Goal! RB Leipzig 3, SV Werder Bremen 2. Bruma (RB Leipzig) left footed shot from the centre of the box to the bottom left corner. Assisted by Marcel Halstenberg. Substitution, SV Werder Bremen. Claudio Pizarro replaces Davy Klaassen. Attempt saved. Marcel Sabitzer (RB Leipzig) left footed shot from outside the box is saved in the bottom right corner. Assisted by Bruma. Attempt blocked. Yussuf Poulsen (RB Leipzig) with an attempt from the centre of the box is blocked. Assisted by Marcel Halstenberg with a cross. Substitution, RB Leipzig. Bruma replaces Willi Orban. Attempt missed. Yuya Osako (SV Werder Bremen) right footed shot from the centre of the box is high and wide to the right. Assisted by Davy Klaassen. Goal! RB Leipzig 2, SV Werder Bremen 2. Joshua Sargent (SV Werder Bremen) left footed shot from the centre of the box to the bottom left corner. Assisted by Yuya Osako. Offside, SV Werder Bremen. Max Kruse tries a through ball, but Ludwig Augustinsson is caught offside. Offside, SV Werder Bremen. Theodor Gebre Selassie tries a through ball, but Joshua Sargent is caught offside. Goal! 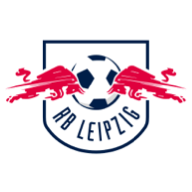 RB Leipzig 2, SV Werder Bremen 1. Max Kruse (SV Werder Bremen) right footed shot from the centre of the box to the bottom right corner. Assisted by Theodor Gebre Selassie. Substitution, SV Werder Bremen. Joshua Sargent replaces Johannes Eggestein. Attempt missed. Ibrahima Konaté (RB Leipzig) header from the left side of the six yard box is too high. Assisted by Diego Demme with a cross following a corner. Corner, RB Leipzig. Conceded by Theodor Gebre Selassie. Attempt saved. Ibrahima Konaté (RB Leipzig) header from the centre of the box is saved in the bottom right corner. Assisted by Konrad Laimer with a headed pass. Corner, RB Leipzig. Conceded by Milos Veljkovic. Attempt blocked. Marcel Sabitzer (RB Leipzig) right footed shot from the centre of the box is blocked. Assisted by Timo Werner. Substitution, RB Leipzig. Dayotchanculle Upamecano replaces Kevin Kampl because of an injury. Substitution, SV Werder Bremen. Yuya Osako replaces Milot Rashica. Offside, RB Leipzig. Lukas Klostermann tries a through ball, but Yussuf Poulsen is caught offside. Attempt saved. Ludwig Augustinsson (SV Werder Bremen) left footed shot from the left side of the box is saved in the centre of the goal. Attempt saved. 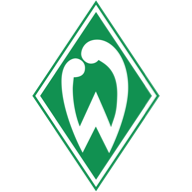 Milos Veljkovic (SV Werder Bremen) left footed shot from the left side of the six yard box is saved in the bottom left corner. Konrad Laimer (RB Leipzig) is shown the yellow card for a bad foul. Attempt missed. Johannes Eggestein (SV Werder Bremen) right footed shot from the right side of the box misses to the left. Assisted by Theodor Gebre Selassie. Offside, RB Leipzig. Diego Demme tries a through ball, but Yussuf Poulsen is caught offside. Attempt missed. Johannes Eggestein (SV Werder Bremen) right footed shot from the right side of the box is close, but misses to the right. Assisted by Max Kruse with a cross. Second Half begins RB Leipzig 2, SV Werder Bremen 0. First Half ends, RB Leipzig 2, SV Werder Bremen 0. Goal! RB Leipzig 2, SV Werder Bremen 0. Timo Werner (RB Leipzig) right footed shot from the centre of the box to the centre of the goal. Attempt missed. Marcel Sabitzer (RB Leipzig) right footed shot from the right side of the box is close, but misses to the left. Assisted by Ibrahima Konaté. Corner, SV Werder Bremen. Conceded by Konrad Laimer. Attempt saved. Max Kruse (SV Werder Bremen) header from the centre of the box is saved in the top right corner. Assisted by Milot Rashica with a cross. Attempt missed. Milot Rashica (SV Werder Bremen) left footed shot from outside the box is high and wide to the left following a corner. Attempt blocked. Theodor Gebre Selassie (SV Werder Bremen) right footed shot from the centre of the box is blocked. Assisted by Kevin Möhwald with a headed pass. Attempt blocked. Sebastian Langkamp (SV Werder Bremen) header from very close range is blocked. Assisted by Milos Veljkovic. Corner, SV Werder Bremen. Conceded by Willi Orban. Corner, SV Werder Bremen. Conceded by Kevin Kampl. Attempt missed. Ibrahima Konaté (RB Leipzig) right footed shot from outside the box is too high. Attempt missed. Timo Werner (RB Leipzig) right footed shot from the centre of the box is just a bit too high. Assisted by Yussuf Poulsen with a through ball. Corner, RB Leipzig. Conceded by Maximilian Eggestein. Goal! RB Leipzig 1, SV Werder Bremen 0. Lukas Klostermann (RB Leipzig) right footed shot from the right side of the box to the top right corner. Assisted by Kevin Kampl. Attempt missed. Kevin Möhwald (SV Werder Bremen) right footed shot from outside the box is too high. Assisted by Davy Klaassen. Péter Gulácsi (RB Leipzig) wins a free kick in the defensive half. Corner, SV Werder Bremen. Conceded by Lukas Klostermann. Attempt blocked. Milot Rashica (SV Werder Bremen) right footed shot from the centre of the box is blocked. Attempt missed. Marcel Sabitzer (RB Leipzig) left footed shot from the left side of the box is close, but misses to the left. Assisted by Timo Werner. Johannes Eggestein (SV Werder Bremen) wins a free kick in the defensive half. Attempt missed. Yussuf Poulsen (RB Leipzig) left footed shot from outside the box is close, but misses to the left. Assisted by Konrad Laimer. Attempt saved. Milot Rashica (SV Werder Bremen) left footed shot from the left side of the box is saved in the bottom left corner. Assisted by Ludwig Augustinsson. Delay in match Sebastian Langkamp (SV Werder Bremen) because of an injury. Offside, SV Werder Bremen. Max Kruse tries a through ball, but Milot Rashica is caught offside. Offside, RB Leipzig. Konrad Laimer tries a through ball, but Marcel Halstenberg is caught offside. Attempt blocked. Johannes Eggestein (SV Werder Bremen) right footed shot from the centre of the box is blocked. Assisted by Max Kruse with a cross.